The Apprentice winner Leah Totton may have won over Lord Sugar with her business plan for high street Botox clinics but cosmetic surgeons are not so sure. Leah, who has recently graduated from medical school, had the winning idea to open a chain of clinics specialising in skin treatments such as chemical peels, Botox and dermal fillers. Her prize was a cash injection of £250,000 from Lord Sugar. The winning idea is a stark contrast to the NHS’s recent report on cosmetic surgery which revealed that cosmetic procedures need to be more tightly regulated. 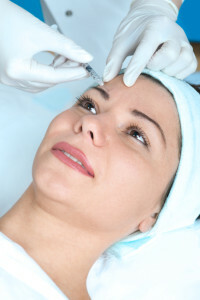 Procedures such as dermal fillers, Botox and chemical peels were highlighted as particular areas for concern as these treatments can legally be performed by anyone, no matter what training they’ve had. Although these treatments are less invasive than surgery, they still carry risks and can cause blindness, infection and scarring if not completed correctly. Non-surgical treatments are already available on the high street in beauty clinics and spas and although these may seem like a convenient option, make sure you do some research before committing to a treatment. Find out how long they’ve been practicing and what qualifications and experience they have. If in doubt speak to a qualified cosmetic surgeon who has experience in these non-surgical treatments for advice.